ETA: I forgot to mention, that beach up there? 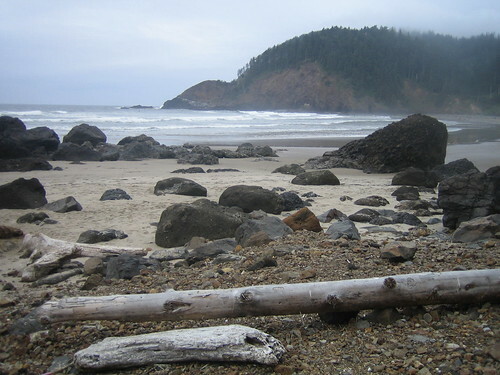 That is the beach they used in Twilight The Movie for First Beach. 10 Responses to "My friend Jane, the dealer"
I finally finished reading Breaking Dawn day before yesterday (been so busy). I really liked that it had a truly happy ending. I didn’t get all depressed like after Deathly Hallows. Yes. If you read her blog, you will see that she is not only going to visit Forks, but she is also CAMPING ON THE OLYMPIC PENNINSULA! *dies* What a place to be! I know! I think you would love it there! Oooh that’s a lovely beach – just what I imagined. Dude, I’m jealous of your friend too – I have always wanted to visit that area. My brother has expressed vague interest in perhaps moving that way one day, so that’d be nice. LOL! Right? You see it and just know that Bella and Jacob were prancing around and just happened to miss the shot. My family has been seriously talking about moving up to Portland. I have mixed feelings about that. I would love to live up there, but I am an LA girl at heart. And let’s not even get into the family ties situation (in laws, anyone? )!